The Head of the Charles Regatta celebrated its 50th anniversary on Boston’s Charles River this weekend, attracting 400,000 spectators and 10,500 athletes from over 30 countries. 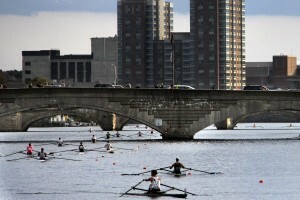 Haley Eovine, a rower at University of Massachusetts-Amherst, said the energy at HOCR is unique to the city of Boston. In honor of the 50th anniversary, HOCR featured a history exhibit near Hospitality Row, an anniversary documentary film with historical archival footage of the races and an exclusive gala celebration for Olympian rowers, Regatta organizers and HOCR participants, according to the event’s website. At the exhibit, guests were given the opportunity to learn about HOCR from 1965 to the early 2000’s with vintage bow signs, press passes and visual presentations representing the foundation of HOCR over the past half decade. A modern gift shop featuring high-end 50th anniversary merchandise concluded the exhibit. Rowers from all around the country, including professional and top-tier athletes, competed at the regatta, and members of the United States National Rowing Team autographed cards and spent time with fans. Kerry Simmonds, another rower from the 2013-14 National Team, reunited with other members of the rowing community at HOCR’s 50th anniversary and reminisced about her experience with HOCR. Collegiate rowers and spectators in attendance said HOCR has become a staple in the Boston-Cambridge community and is known for bringing the best racing experiences. “I just love how big the event is and being able to compete with everyone in the country,” said Wesley Vear, a rower at the University of Michigan. Daniel Vitas, another UM rower, said he enjoyed competing with all types of teams at HOCR. 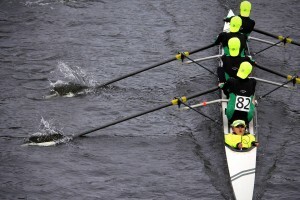 “Coming here and having all classes is an awesome rowing get-together,” he said. 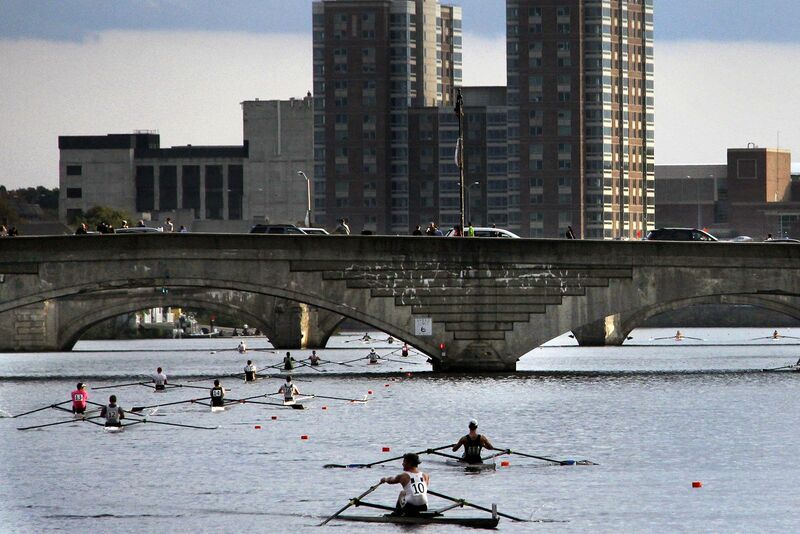 Several participants said HOCR is an incredible experience both on and off the racecourse for rowers. Pennsylvania State University rower Kelly Murphy said she had a great experience at HOCR this year. “Getting to be with my team and showcasing my school is my favorite part about Head of the Charles,” she said. Hannah Klarner, 23, a Boston University alumna who now lives in Baltimore, said she attended the event to reunite with people she has met in her years rowing. Kevan Mamdouhi, 25, of Cambridge, said he enjoys living close to the HOCR and looks forward to the races every year because of the sense of community.